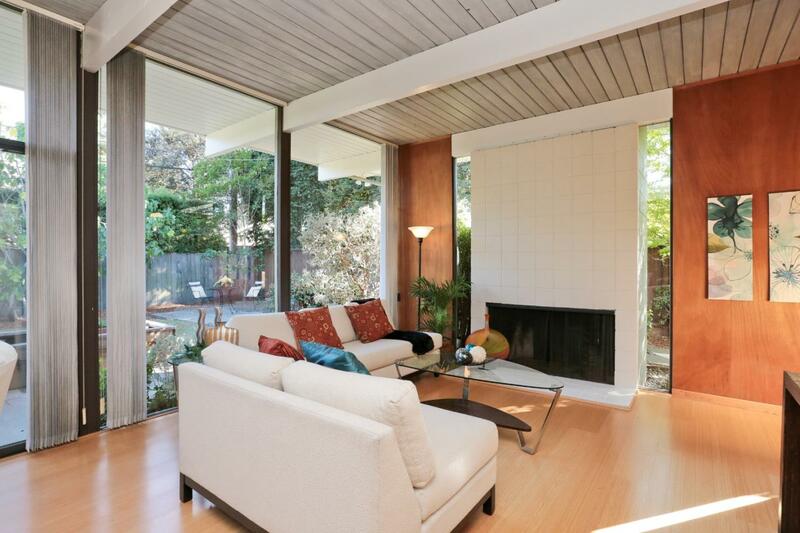 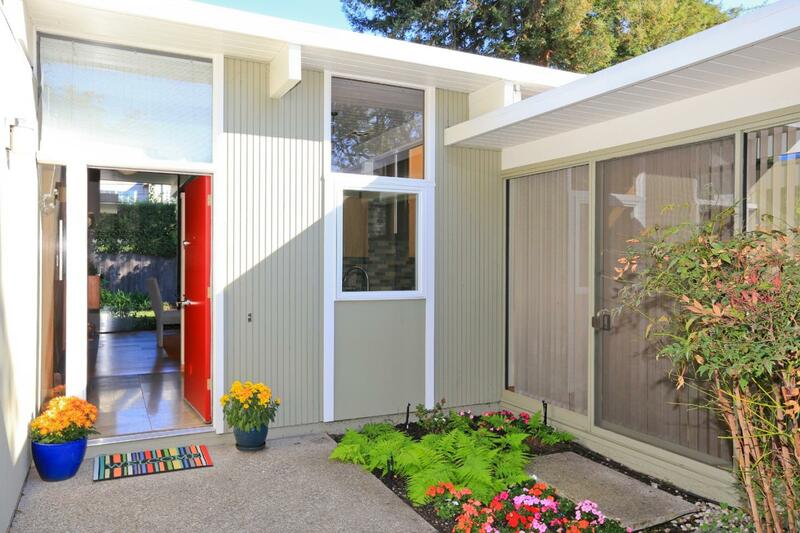 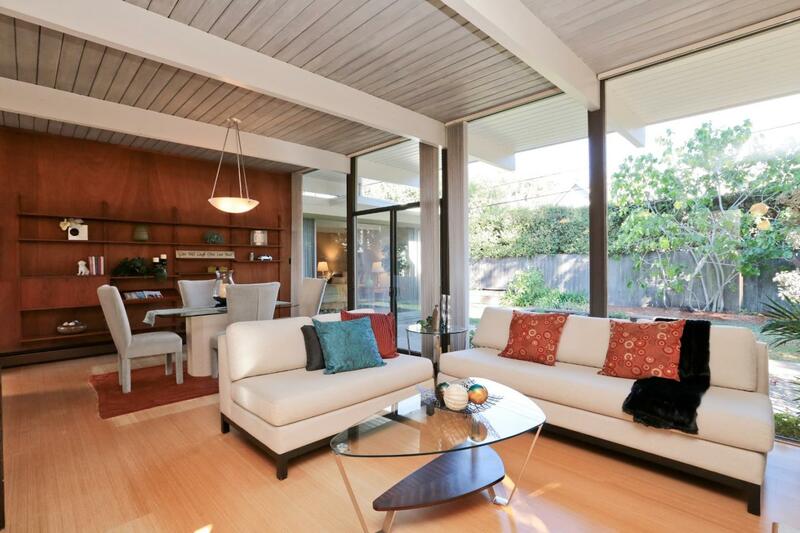 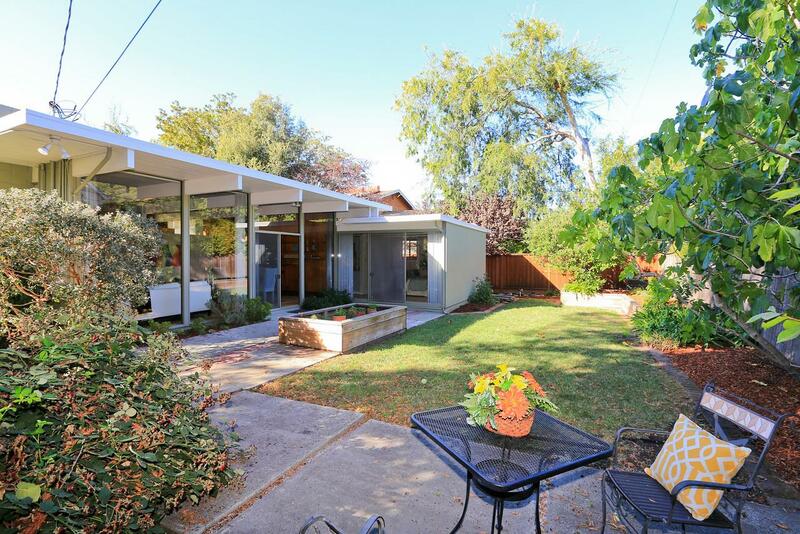 I love this floor plan, one of my favorites of Palo Alto and similar to the Ferne Eichler we sold so check that our for color ideas. 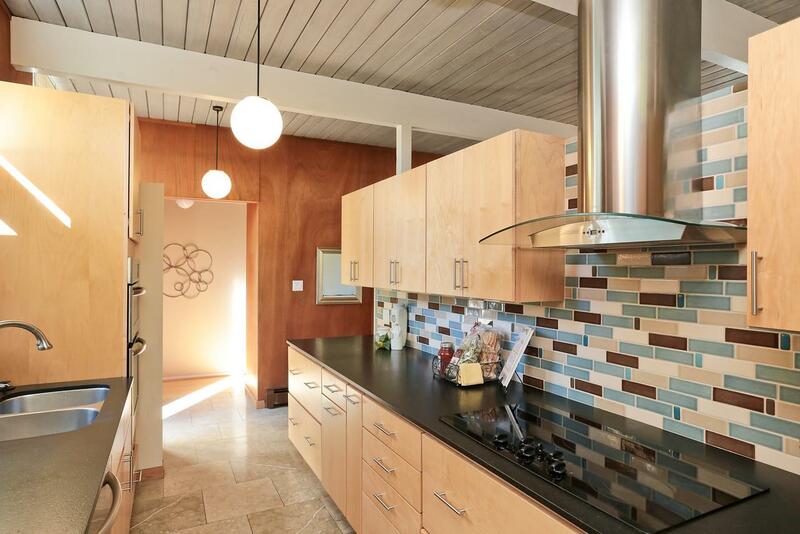 I oddly enjoy the multicolor tiled kitchen backsplash, which even ties in with the wood paneling in the living and dining room. 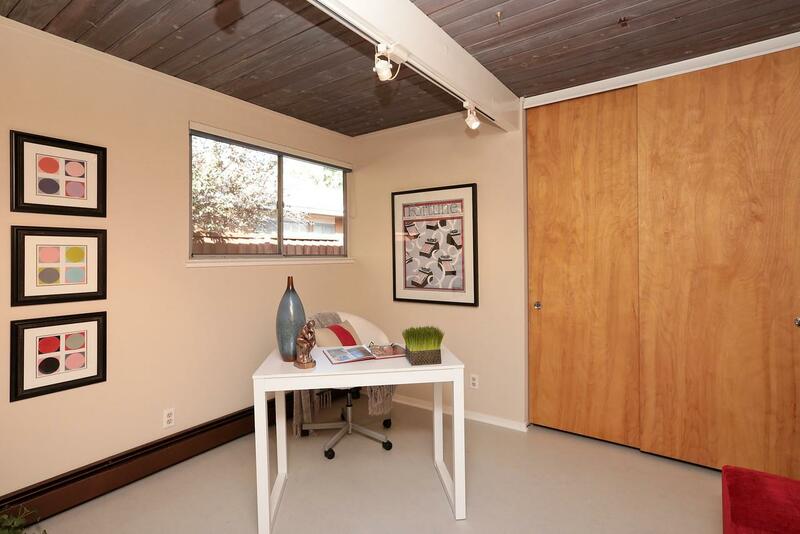 You could move right in or remodel the bathrooms as you go.